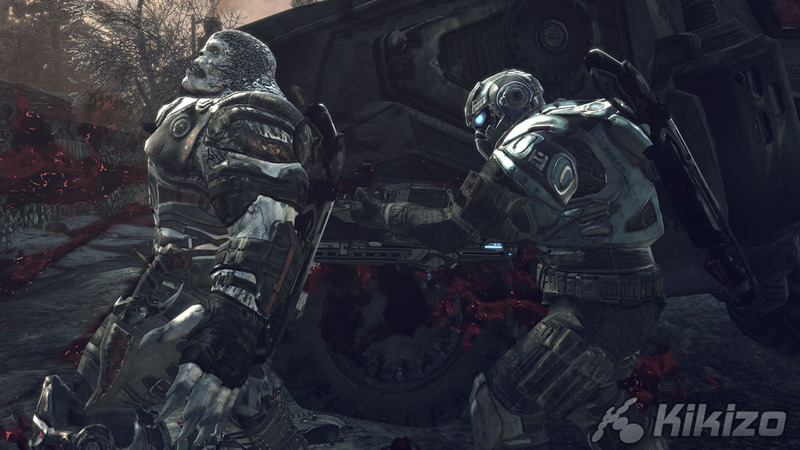 We take a closer look at this year's biggest first party Xbox 360 release to see if it can live up to expectations. The game picks up about half a year after the ending of the first one. It's nearly winter and the Locust Horde have returned to finish the job. The last traces of humanity on planet Sera are gathered on a rock of land at Jacinto Plateau to protect them from the burrowing Locusts, but these beasts have a workaround in mind. The Locust are planning to dig a massive emergence hole around the city and drop it wholesale into the ground. Marcus, Dom and the rest of the COGs are the last hope. "When your back is up against the wall and you're about to be tossed over that wall, the only thing you can do is strike back," says Bleszinski, who describes the mission as a Hail Mary for humanity. Of course, any sequel needs to check a few boxes to assure players that they're not paying for more of the same - that's what downloadable content is for. 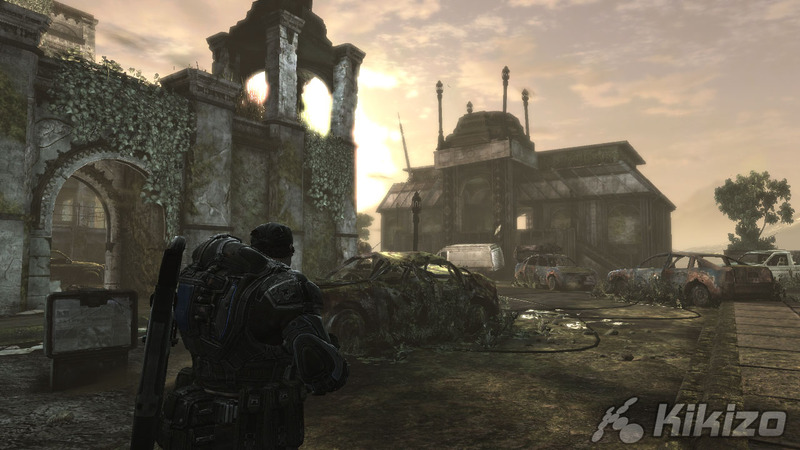 In the case of Gears of War 2, this includes more mountable vehicles and beasts. 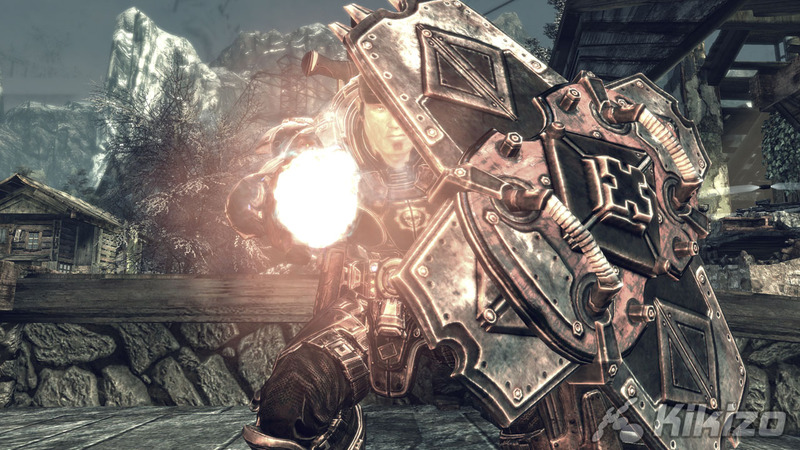 Playing a large part in the story are the Derricks, huge tanks that offer players a better vantage point for attacks on the swarms of enemies on the ground. 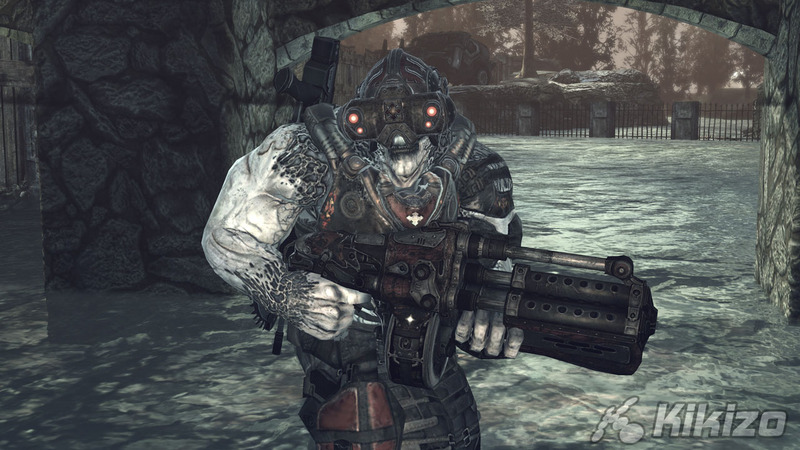 Players will also be able to ride Locust beasts this time, including the Brumak. The sequel also allows players to interact more with enemies. Probably the most useful will be meat shielding, where players can grab enemies from behind them and use them as shield to fend off enemy fire. Expect chainsaw duels to be another big hit with the gore crowd. Like the active reload, this is a simple minigame played on the fly that involves pressing a face button. 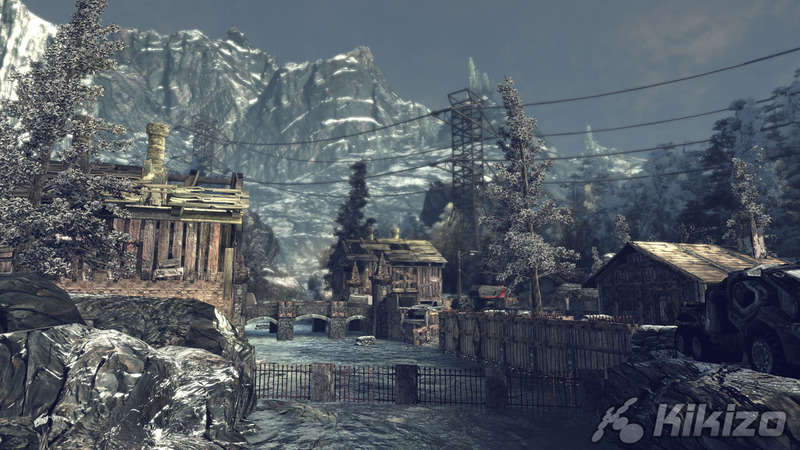 Duels are engaged automatically and will play out differently depending on how you approach your enemy . 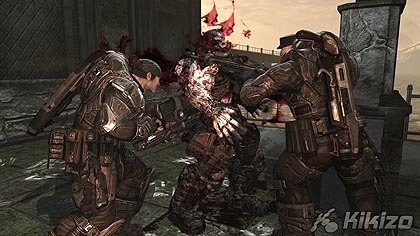 By far the bloodiest will happen when you come from behind, when you're able to saw apart an enemy from between his legs. And don't worry, it's not a Quick Time Event. In fact, don't expect QTE's to show up ever in the series. "I don't know how you guys feel but if I play one more Quick Time Event I think I'm going to stab someone in the neck," Bleszinski says. "I think that trend just needs to die." Many frustrated action game fans will agree. Achievements have undergone a revamp too. 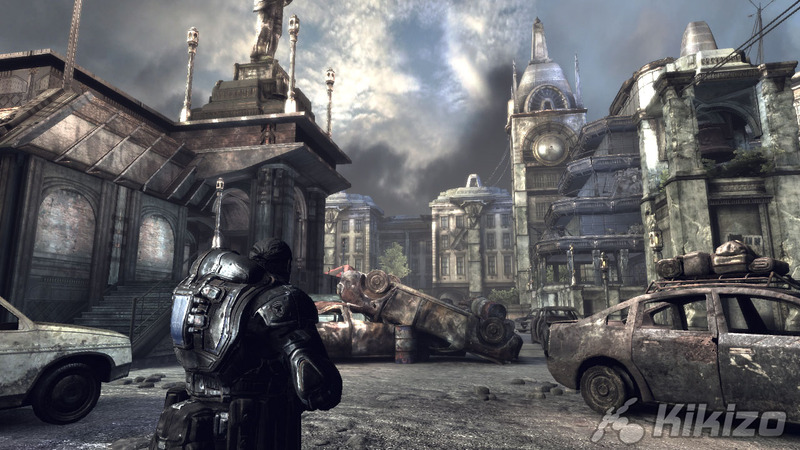 Like some other recent shooters, Gears 2 will further blur the line between traditional solo play and cooperative and competitive multiplayer. 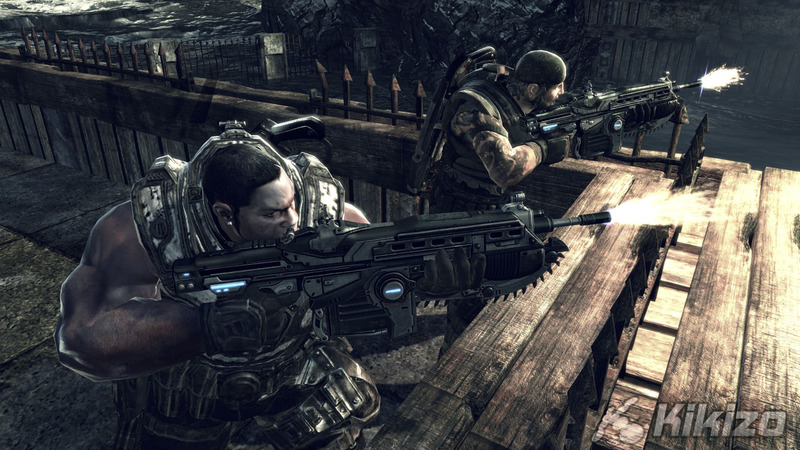 One of the key community concerns addressed is the trend of people playing in certain modes or with certain weapons just to get the Achievements. 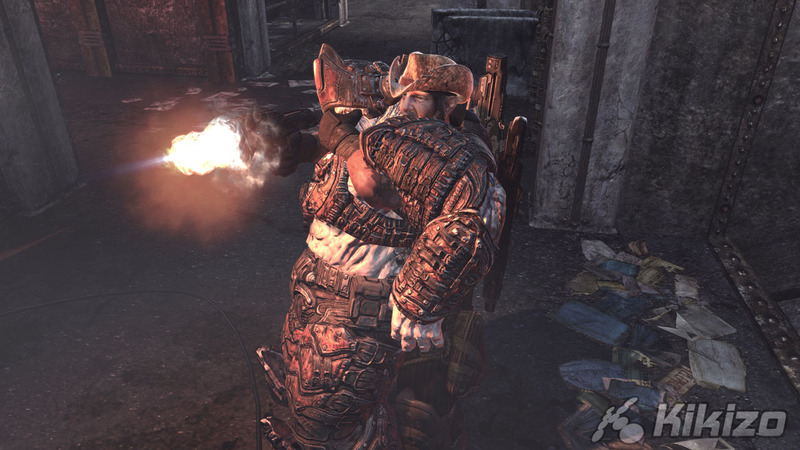 Gears 2 will "throttle the amount of Achievements a player can get at any given point", according to Bleszinski, who gives the example of someone going for headshot after headshot simply to get that elusive popup. In situations like that, only the first will count, stopping people from straying from the game plan. 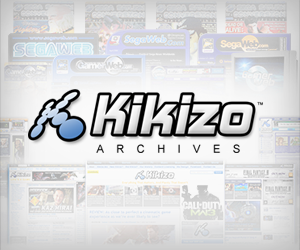 Achievements will also be used to track your progress through the game across the various modes. So much for the obvious stuff. But what Bleszinski tells us throughout our visit is that Gears is a "bigger, better more badass experience" and a "darker" one too. That's a nice pull-quote, to be sure, but it's not something easily translated into a description of the game. Giving players a demo would help, but with 5 million customers already smiling after the first game, that doesn't appear to be a priority for Epic. It seems, then, that we'll have to wait until the game's release in November to see just how dark the series has become.